Quinta da Vila Velha is owned privately by a member of the Symington family and the grapes are used by Graham’s for some of their finest Ports. Vila Velha is situated on the river Douro, approximately half-way between Pinhão and Tua. Situated on the south bank of a meander in the river, the vineyard actually faces predominately west. As the gradient is reasonably gentle (for the Douro) most of the vineyard receives the full benefit of the late afternoon and evening sun. 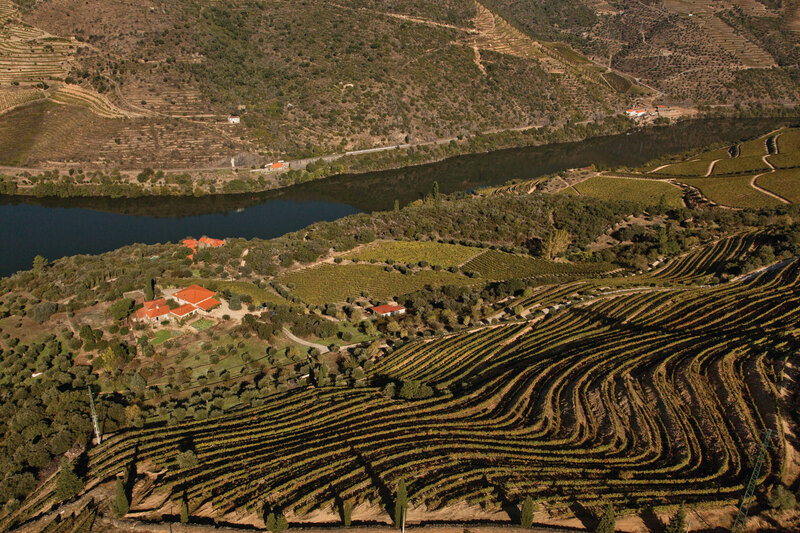 The main vineyard area is situated at an ideal altitude (below 250 metres) that defines the classic river Quintas of the Douro. The consistent climate in this part of the valley results in very high quality wines produced in most years. The soil’s main component is schist, a laminated slate-like rock. This vineyard produces wines with a uniquely rich style; they are characterised by intense purple black colours when young, a direct result of the low yields in these vineyards and the high percentage of Touriga Franca planted on this estate. The western facing aspect of the main vineyard brings the full benefit of the afternoon sun, resulting in very ripe fruit and consequently excellent Baumés and soft ripe skins. The Vila Velha Ports have particularly lifted aromas of esteva (rock rose) and violets. The taste is characterised by very good tannins balanced with intense red fruit and black chocolate flavours. The finish is complex and long. Vinification is carried out in modern lagares, and the Vila Velha ports are an important part of the blend in Graham’s finest wines.